This post is the second of a series on the main OCSDNet research findings gathered at our Bangkok network meeting in February. This post focuses on mechanisms to understand the challenges of decontextualized open knowledge sharing. To realize the potential of openness and collaboration in science, we need to take a few steps back and take a closer look at how the local context, history, community, and infrastructure shape processes of knowledge production. Recent findings include the need for a ‘situated’ approach to knowledge, the challenges of designing inclusive knowledge sharing infrastructures and lessons learned in open, community-based knowledge sharing practices. As OCSDNet research moves to the next stage of its research, the teams will be exploring how applying the following, terms, conditions and mechanisms will help realize the potential of a fair, inclusive and responsible open science. “Increasing access to knowledge enables more people to benefit from the fruits of scientific production.” For a long time, this has been an axiom in the Open Access and Open Science movements. However, OCSDNet research teams are finding it is not quite that simple. As the twelve research teams continue their investigations across Latin America, Asia, the MENA region and Africa, they are finding situations in which local communities prefer to protect their knowledge rather than sharing it. This has led to a series of questions around the challenges of open science and mainly,of unrestricted and decontextualized knowledge sharing: Who decides what knowledge should be shared? What platforms are we using to share it? Whom are we sharing it with? And who benefits from the sharing? It is important to understand the opportunities and challenges offered by the context. OCSDNet researchers pointed out several of the communities they work with expressed an innate lack of trust before the idea of sharing their knowledge with scientists or outside researchers. Salma N. Talhouk, who is co-leading a community mapping project in Lebanon, explained: “many (community members) don’t want to point out where there are bird-watching areas because they worry about hunters from nearby villages”. The Argentinian teams also noted how groups involved in political activism are encouraged to keep their information private due to face high community pressure and threats from local authorities . The idea of ‘situated openness’ was developed by the investigators of the Natural Justice project, informed by critical, Feminist approaches to scientific knowledge production (a question posed years ago in this classic article written by Donna Haraway in 1988). Situated openness, is a concept that assumes knowledge is situated within particular historical, political and socio-cultural relations, and as such, invites us to address power hierarchies and inequality in processes of open knowledge sharing. Applying this theoretical framework to our practice helps us better understand how scientific production speaks to its context. We have explored this theme in previous posts [See here and here], but we cannot stress this enough – we need to ask ourselves what opening up knowledge means and mainly, who it will benefit, before promoting ‘open science’ as a one-size-fits-all ‘best practice’. OCSDNet teams recommend conducting ‘stakeholder mapping’ exercises to identify knowledge communities and understand how their needs are shaped by their positions of power. This also helps us understand the ways in which knowledge sharing can empower or harm community’s interests, depending on how knowledge flows in that particular context. ‘open’ knowledge sharing is not intrinsically beneficial for communities, particularly when there is a dissonance between the interests of knowledge users and knowledge producers. For example, one of the projects based in Argentina is looking at the dynamics of international open science networks researching Chagas Disease. Their findings are showing that these networks are mostly scientist-driven. Even if the knowledge is ‘open’, scientists get to impose a sense of what a problem is (or what it is not) and act as spokesmen for the community without necessarily having interacted with the affected population. The knowledge shared by the networks will ultimately reflect scientific interests (e.g. how Chagas works in the body), without necessarily addressing the multitude of concerns brought about by Chagas disease in the community. As pointed out by the investigators of the project, Pablo Kreimer and Hugo Ferpozzi, these dynamics show ‘open’ knowledge sharing is not intrinsically beneficial for communities, particularly when there is a dissonance between the interests of knowledge users and knowledge producers. Identifying these patterns before promoting and conducting open science projects is key to preventing instances of ‘cognitive exploitation’ – situations in which local knowledge is used to further commercial or academic interests, rather than addressing the needs of the community. ‘Knowledge commons’ infrastructures (such as the model proposed by Hess and Ostrom) are increasingly resonating with the scientific community. (Recently Force11 developed a Scholarly Commons working group to identify how common governance can shape scholarly knowledge. Check out this paper shared by OCSDNet advisor, Cameron Neylon). At OCSDNet, we are focusing on understanding how a knowledge commons can support community development, by enhancing the capacity of individuals to share knowledge and collaborate with one another to address local needs. The team based in Jamaica is focusing on this topic by studying how open knowledge sharing can improve disaster preparedness and relief. They found that the absence of infrastructures that connect relevant knowledge to people who need it the most is an important limitation for productive knowledge sharing and collaborative scientific production. Some of the consequences include lack of coordination between actors who bear the knowledge and those with the capacity to act (in the event of natural disasters) and apathy towards embracing open knowledge sharing to address social or environmental needs. The absence of infrastructures that connect relevant knowledge to people who need it the most is an important limitation for productive knowledge sharing and collaborative scientific production. After this realization, the project changed gears and rather than promoting the benefits of open science, it decided to focus on building an adequate infrastructure for knowledge sharing through brokering services. By locating intermediaries, they aim to develop networks between actors who carry relevant information about disaster preparedness, improve communication between them, and set standardized protocols for knowledge sharing. In the long run, they hope to establish a ‘knowledge commons’ for disaster management in the region in which knowledge can be accessed, collectively managed and used by all or most members of a community. Leveling the technical playing field around the world is also a high priority for the Open Science movement. Several teams brought up that “marginalized groups lacking electricity, connectivity and technical knowledge” would benefit the most from accessing and sharing new information relevant to their communities. The process of promoting affordable technology demystified science and convinced community members that knowledge production is something they can and should be a part of. With this in mind, the research team based in Indonesia, Nepal and Thailand is working towards reducing the costs of technical tools for scientific discovery. Through maker spaces and DIY workshops, they bring together scientists, artists, educators -among other actors- to build inexpensive devices such as holographic microscopes or water filtration devices from discarded technologies such as webcams and cell phones. They learned that the process of promoting affordable technology demystified science and convinced community members that knowledge production is something they can and should be a part of. In addition, expanding access to technology is an excellent entry point to encourage non-scientists to take ownership of research that affects their communities. Moving forward, the team is focusing on closing the technical gap and promoting a scientific culture at the grassroots. Irene Agrivine, the principal investigator of the project, noted this involved framing science “as an exploratory activity” that can happen in education centers as much as in a hackathon. OCSDNet teams based in Kyrgyzstan and Costa Rica are following suit, promoting urban and rural science shops, DIY labs and community research centers in the field. Finally, teams reflected on the challenges of deciding what knowledge to share. These concerns resonate with communities whose knowledge has been marginalized or repressed, as is the case of social movements, indigenous groups or visible minorities. In their case, sharing or ‘opening up knowledge’ is often tied to high political and social risks for their communities that trump the benefits of collaborating with scientists. The OCSDNet project based in South Africa works with indigenous communities who have historically perceived the notion of openness as a means of exploitation by colonial powers. To deal with this, the group is developing ‘community-researcher contracts’ to negotiate conditions of knowledge sharing. According to Cath Traynor, the principal investigator of this project, these contracts are superior to conventional research ethics protocols, as they help all parties to participate in defining their relationship, expectations, and responsibilities through the knowledge production process. Another interesting case is taking place in Costa Rica and Colombia. Josique Lorenzo, the principal investigator of a project looking at the role model forest networks play in climate change adaptation, realized it takes quite a few months to build the relationships and conduct the training needed to implement an open science project. In Josique’s words: “(Open science) projects need to revolve around what is convenient for the people and their lives, rather than what is convenient for us as researchers”. 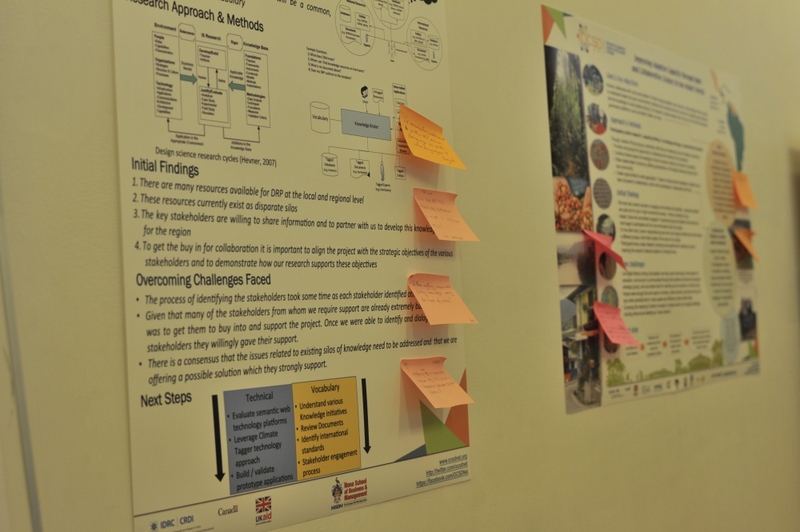 Fitting everything into a two-year research timeline was not harvesting the benefits of open knowledge sharing, but rather, was showing the challenges of building horizontal and equitable scientist-non-scientist partnerships. As OCSDNet research moves forward, the teams will be exploring terms, conditions, and mechanisms that enable safe and equitable knowledge-sharing, address inequality and realize the potential of a fair, responsible and inclusive open science.